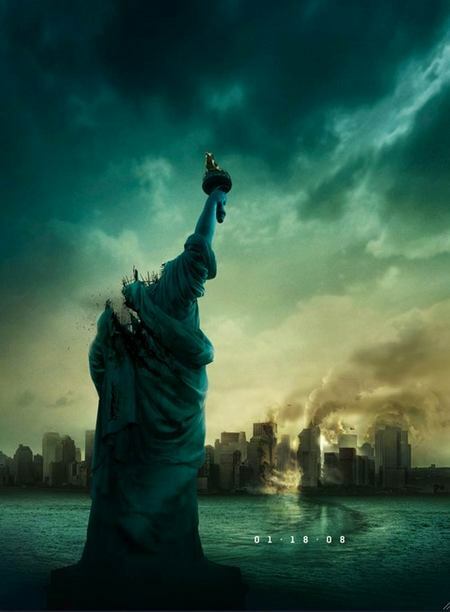 So… Cloverfield, that mysterious movie no one knew much about. I saw it. And it was friggin’ awesome. There was actually quite a lot of stuff on the Internet focused on promoting Cloverfield, but it was so obscure I didn’t find out about it until I had already seen the movie! Honestly, I get really into this wider media stuff, participating outside of a film. There was a 1-18-08.com site showing an assortment of interesting photos where you can flick them around the screen like some sort of Microsoft Surface software. If you click your mouse and draw a circle, they will turn over and there are some messages on the backs of them. PR also created fake myspace pages for the six main characters dating back to July last year! But the characters haven’t logged on since 18/1/08. You really should have seen the movie before this date to get the full effect! There’s some interesting references inside Cloverfield to a fictional Japanese drink called Slusho which makes you very happy when you drink it. J.J. Abrams also shows off Slusho in his other work, Alias. Even though he isn’t related to the Heroes team, here’s an assortment of pictures of the crew enjoying their Slushos! Kristen Bell who plays Elle actually sips from a Slusho bottle in one of the episodes in season two! Thanks to cloverfieldclues for helping me find this stuff out. So the movie, I won’t spoil anything you probably don’t know already, but it is a monster movie. And it does wreak havoc upon New York. And the way it is filmed is as mentionable as anything, like the Blair Witch it is filmed with a handheld camera but thanks to J.J. Abrams spectacular budget, is much higher quality video and audio! And something I found interesting, if you look at the reviews, people over 30 seem to find it annoyingly dizzy, like my father and his friend did. Under 30’s seem to be really drawn into the experience, such as I. What it really feels like to me is a intense first person shooter, more like Half-Life, without the interactivity though. So I’m pretty used to the camera pointing every which where, just don’t do it in my 3rd person games, thank-you very much!